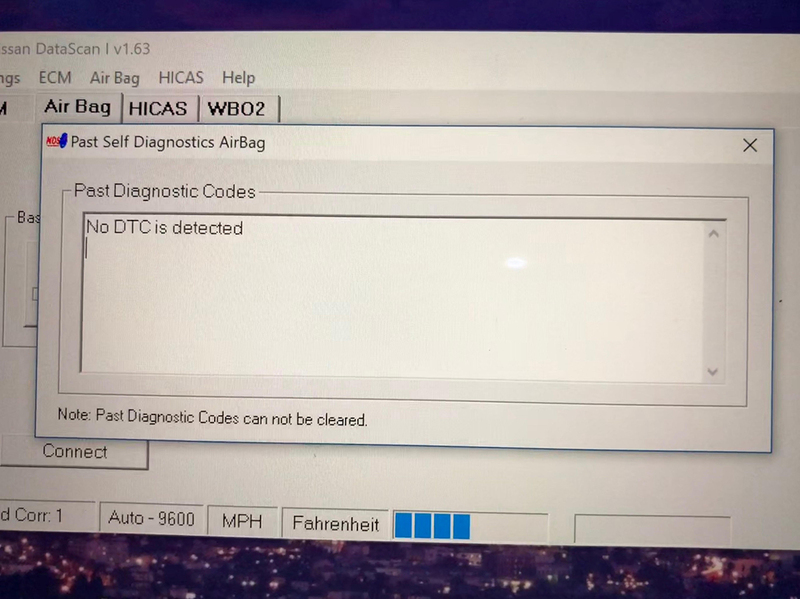 Message I used Datascan and the airbag diagnostics and I'm getting these messages below. Can anyone please point me in the right direction or share what happened if you had a similar issue? 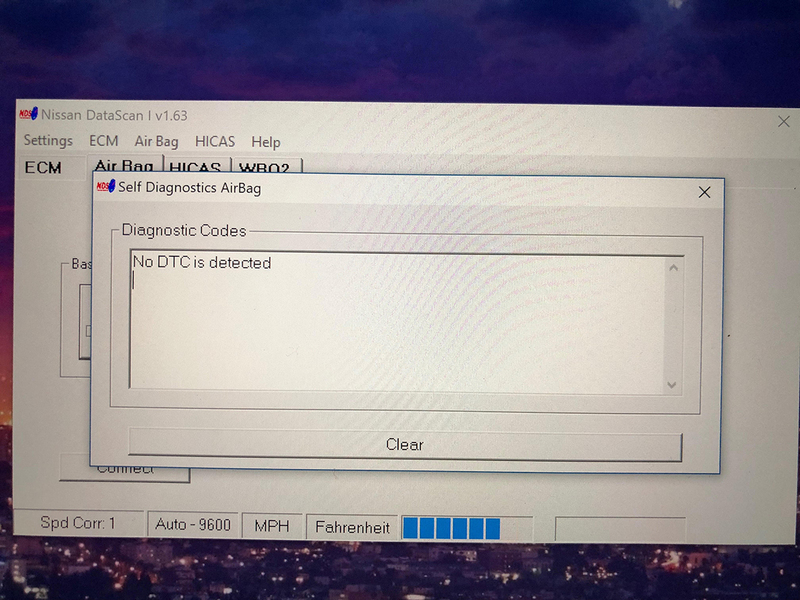 The airbag light is blinking but I get this message that says there are no DTCs (diagnostic trouble codes?). Following the FSM and hitting the driver side door switch 5 times after turning the key to ignition does not result in any codes blinking either. No fast blinking lights and just one long light after another. Exiting diagnostic mode results in me getting 1-2 drives without the airbag light blinking but it always comes back. 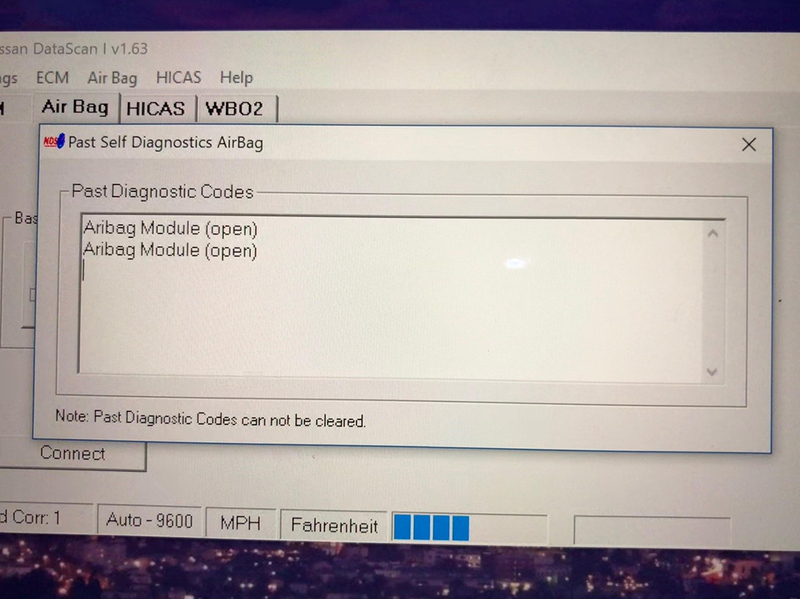 Datascan shows past codes are both 1) "no DTC" and 2) "Airbag Module (Open)". I'm thinking to replace the control unit that is found in the area under the steering wheel. My second guess is the clock spring but it seems like the steering angle sensor and horn would not work if the spiral cable broke. All yellow wiring harnesses from the front to cabin appear intact. Would appreciate any information or even parts for the fix if you have them. Thanks!